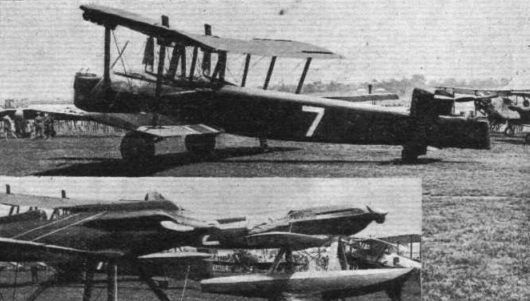 The new Vickers night bomber is fitted with Rolls-Royce "F" engines. Note the gun position in the tail. THE VICKERS TWIN-ENGINED NIGHT BOMBER: This is an entirely new machine with some unusual features. It is of all-metal construction, and powered by two Rolls-Royce "F" engines. VICKERS TYPE 195 VANNOCK II. The Vickers Vannock was designed to meet the Air Ministry Specification B.19/27 calling for a long-range night bomber. Only one prototype Vannock was built, J9131, but it was twice modified and given new type numbers. The Vannock Mk.I, Type 150, was powered by two Rolls-Royce Kestrel inlines, and fitted with single-bay outer wings. The Vannock Mk.II, Type 195, was re-engined with two Bristol Pegasus I.M.3 radials, and had a three-bay wing. The final form reverted to two-bay wings of increased area. This, the Type 255, was also powered by two Pegasus I.M.3s. All-up weight of the four-seat Vannock Mk.II was 16,000 lb. Span, 76 ft. 6 in. ; length , 60 ft. 4 in. 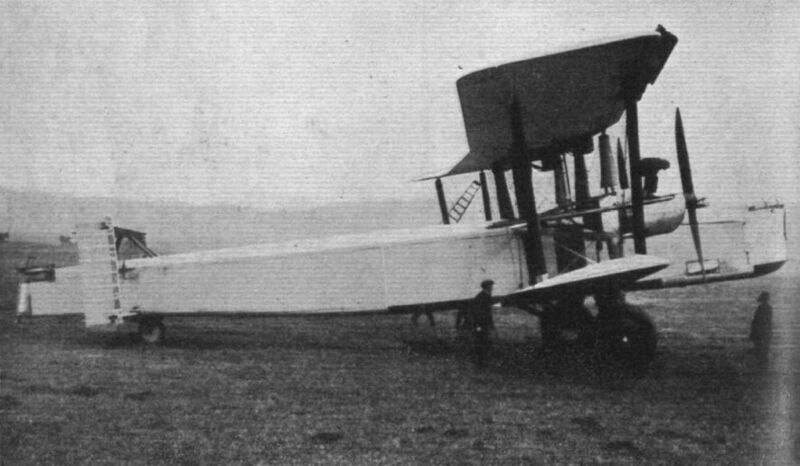 LATEST VICKERS NIGHT BOMBER: This four-seater biplane is of all-metal construction, and has a wing area of 1,367 sq. ft. The gross weight is 16,400 lb. and the engines are Bristol "Pegasus" type I M.3. 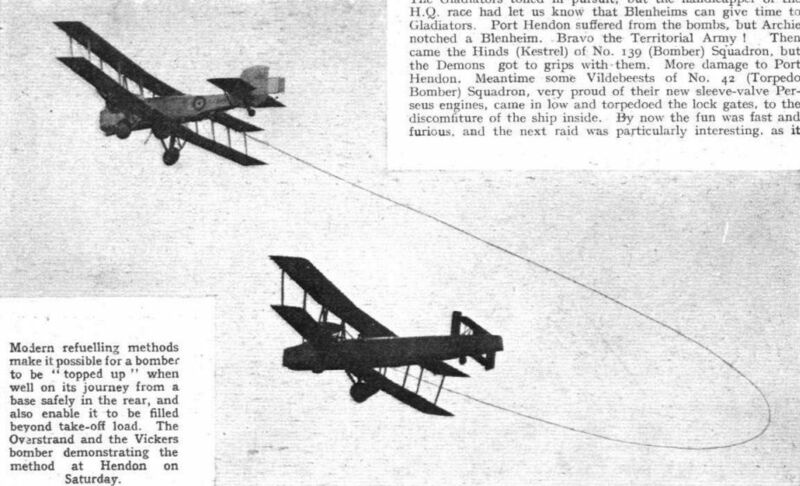 Modern refuelling methods make it possible for a bomber to be "topped up" when well on its journey from a base safely in the rear, and also enable it to be filled beyond take-off load. The Overstrand and the Vickers bomber demonstrating the method at Hendon on Saturday.